Where would you feel safer walking alone at 3 A.M: a busy, heavily trafficked street, or a loosely populated section of a sprawling city? Most people would likely choose the former. Indeed, higher population densities can make city streets feel safer at all hours—while also fostering commercial activity and giving cities an attractive, bustling character. Land-use planning and zoning are cities’ primary tools for increasing density and supporting high quality services. Land-use planning broadly guides development, while zoning laws regulate specific areas of land and dictate how they can be used. Without these regulations and incentives, many developers will continue to build where it is most cost-efficient: outside of the city. 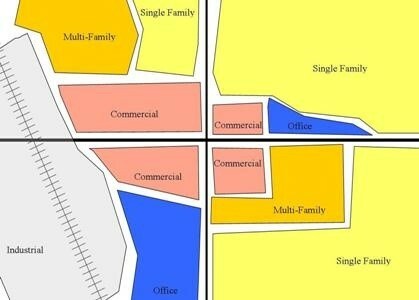 For example Euclidian—or single-use—zoning is the dominant style of zoning and is often blamed for encouraging sprawl because it splits land up into segregated residential, commercial, and industrial zones. Density bonuses allow developers to build more densely than normally permitted in exchange for providing a public good, such as affordable housing. This zoning tool achieves two things: (1) developers can build additional units, increasing potential profit, and (2) loosely populated areas become denser. For example, instead of building a single-family home on a large plot, a developer would be incentivized to build multiple affordable condominiums—a project that would not otherwise be legal. Density zoning is similar to incentive zoning because it makes exceptions to density regulations in exchange for some public benefit. One example of how this can work in practice is Ontario, Canada, which in 1983 enacted Section 37, permitting developers to build beyond existing density restrictions in exchange for “facilities, services, or matters.” The Ontario Municipal Board has interpreted this to mean cash contributions or public goods, such as a local park. Booming cities like Toronto were permitted to link economic growth with service improvements and affordable housing. Density bonuses served the city by encouraging high density development and benefited citizens by expanding public facilities and services. And, from 2007-2011 alone, the S37 density bonus legislation provided Toronto with $136 million in cash contributions. Inclusionary zoning mandates that new construction projects must include a certain percentage of affordable units. This type of zoning complements density increases by ensuring that low- and middle-income individuals and those of different ethnic and racial backgrounds—who are often pushed outside of well-serviced dense urban areas—can afford to live inside the city. Inclusionary zoning ensures that development does not displace poor and minority populations—resulting in a workforce that is also more stable and reliable for cities. 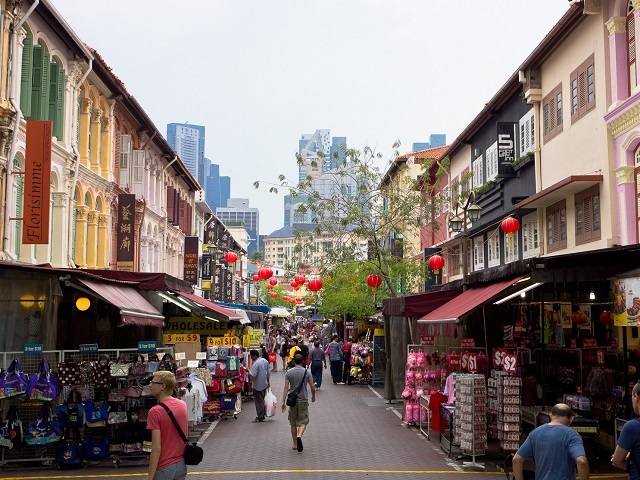 In Singapore, for example, inclusionary zoning successfully brought together different ethnic communities, which, in light of Singapore’s race riots in the 1960s, was a difficult task. The Singaporean Housing and Development Board (HBD) accomplished this by permitting individuals to buy homes through mobilizing their pension resources. This form of inclusionary housing led to 90 percent of Singaporeans owning homes, with 80 percent living in public-sponsored housing. It’s important to note that the HBD has also taken measures to ensure diversity through its Ethnic Integration Policy. Finally, land assembly—a type of land-use planning—is a process of consolidating small pieces of land into larger plots in order to repurpose underutilized areas. One way to use land assembly to achieve density is through graduated density zoning (GDZ). GDZ incentivizes developers to build higher density buildings on large plots of land and construct less dense structures on small plots of land. Ultimately, it encourages the efficient use of premium urban land for denser development. Consider Gujarat, India, where land assembly has been successful in developing infrastructure—a key component of good density. The Gujarat Town Planning and Urban Development Act was amended in 1999 to allow the government to appropriate land for infrastructure construction. As a result, landowner satisfaction in the area increased and development projects ran on schedule. Land-use planning and zoning can be used in innovative ways to ensure equity and increase density. However, developing and implementing zoning regulations must be a cooperative process that engages the public. Top-down approaches to zoning often alienate citizens and struggle to properly address the needs of residents and business owners. Dense cities are more efficient, equitable, and vibrant. The first step is moving away from single-use zoning. Instead, city leaders should look to land-use planning and zoning tools to avoid sprawl and ensure sustainable development.